Fiji has won its first Olympic medal, after winning the inaugural men's rugby sevens final against Great Britain. Fiji crushed Britain 43-7, after earlier beating Japan 20-5 in their semi-final. The Fijians blew the Brits away from the kickoff to cross for five first-half tries at Deodoro Stadium. 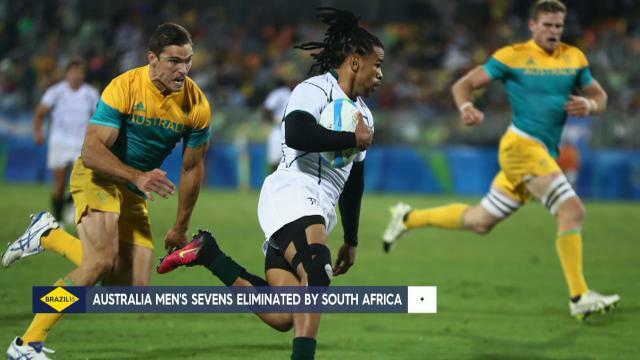 South Africa took bronze with a 54-14 thrashing of Japan in the third-place play-off, while Australia finished the tournament in eighth place. Fiji have an Olympic Games gold medal! The feel good gold of Rio 2016 arrived when the Pacific Islanders trounced Great Britain in a brutal display of sevens rugby, delivering a first medal of any hue to the country of fewer than a million. It’s not just that they won, but the soulful way they go about their business that has delighted the world. 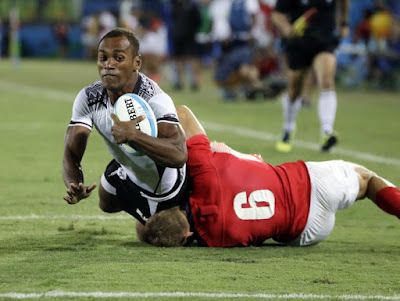 Fiji’s gold was also a massive victory for rugby sevens’ first appearance at an Olympics. It was achieved with a thrilling style of play that not only entertained the game’s fans but captivated millions who previously didn’t have a rucking clue about rugby.